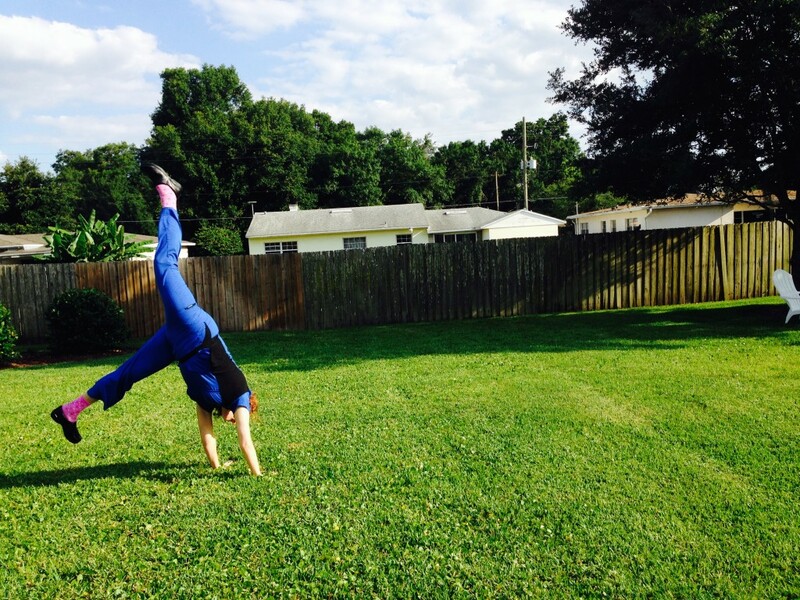 Today is National Cartwheel Day. Because I declared it so. When I was a young tyke, I took gymnastics. That was until I was so tall that I could hang from the upper uneven parallel bars and my toes touched the ground. I was 10. It was a sad day when I had to change my athletic aspirations because no nearly six feet tall woman can contort herself enough to be an Olympic gymnast. Sorry Bela Karolyi, I won’t be joining you this summer. Fast forward fifteen years, to envision me sitting with some friends celebrating July the 4th. 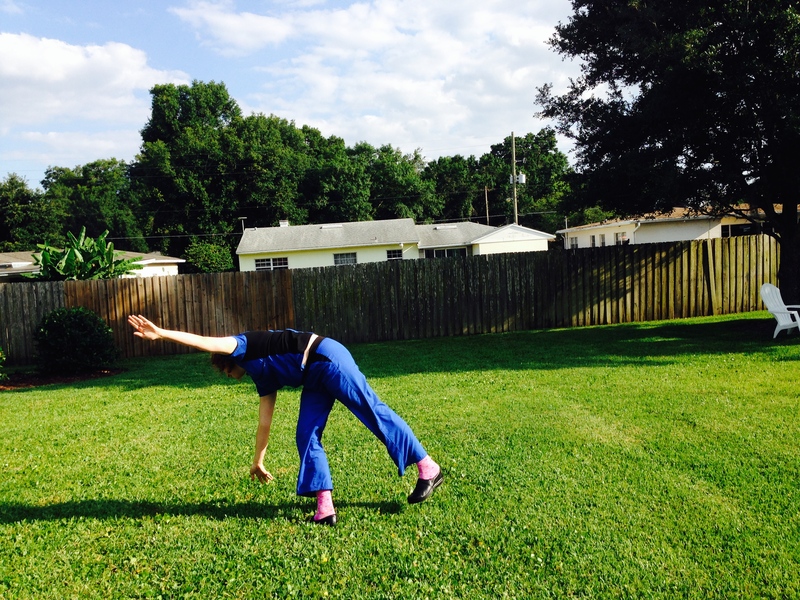 For some reason our conservation made me think, “I wonder if I could still do a cartwheel.” So I tried. And it felt good. Like holding onto just a smidgen of my gymnastic Olympic hopefulness. I decided that day that I would attempt a cartwheel every year to prove to myself that I could still do it. 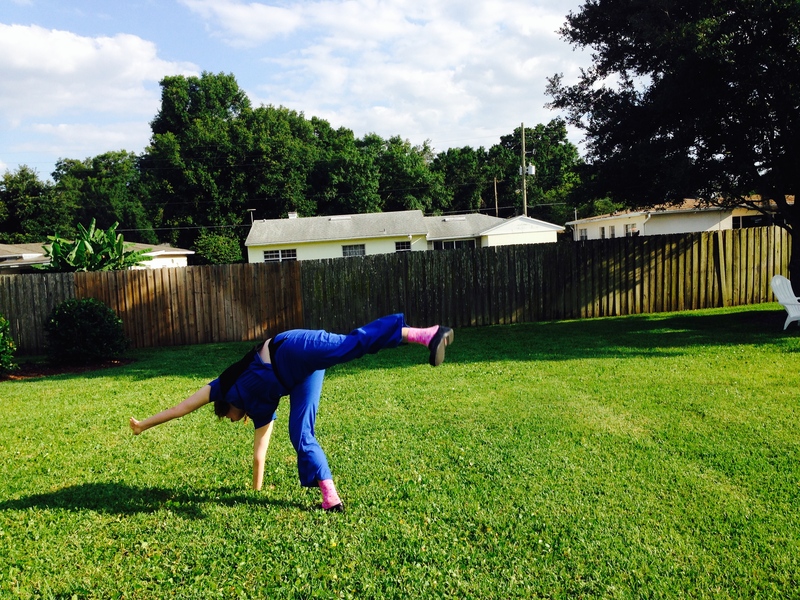 Hence, July 4th is National Cartwheel Day. It’s a way to be nostalgic and also prove to myself what I’m capable of. If you flip quickly you’ll get an idea of how it looks in person. I realize that one day my celebration of National Cartwheel Day may go horribly wrong. But until then I participate in my topsy turvy tumbling tradition with glee celebrating the joys and challenges of childhood.